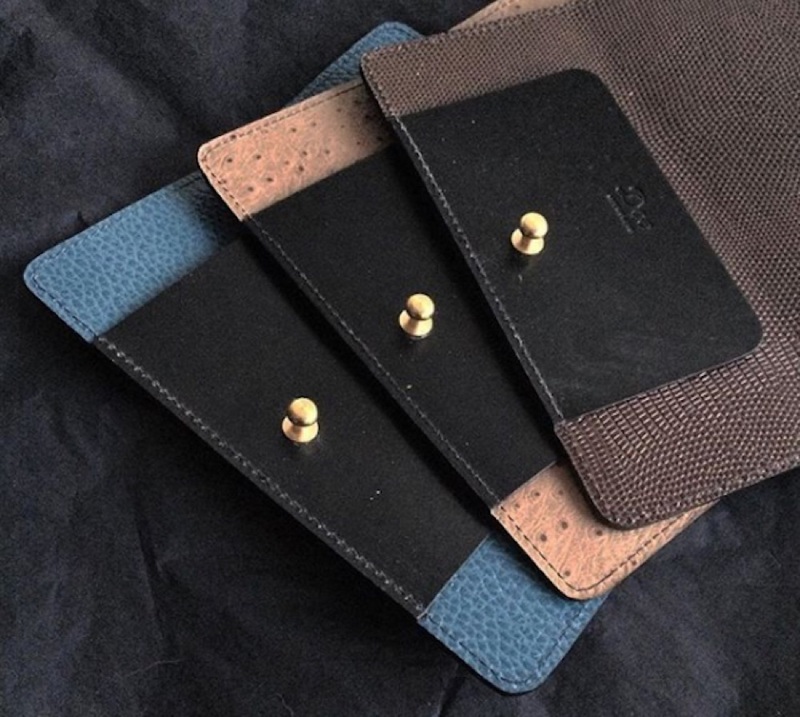 On the 7th day of Christmas, my true love gave me Doe handmade leather goods with a family history of British manufacturing included. Above: Deborah’s design for a minimalist Spectacles Holder is new to the Doe collection. Smooth, hard wearing bridle leather is lined with limited edition vintage embossed prints, £97. 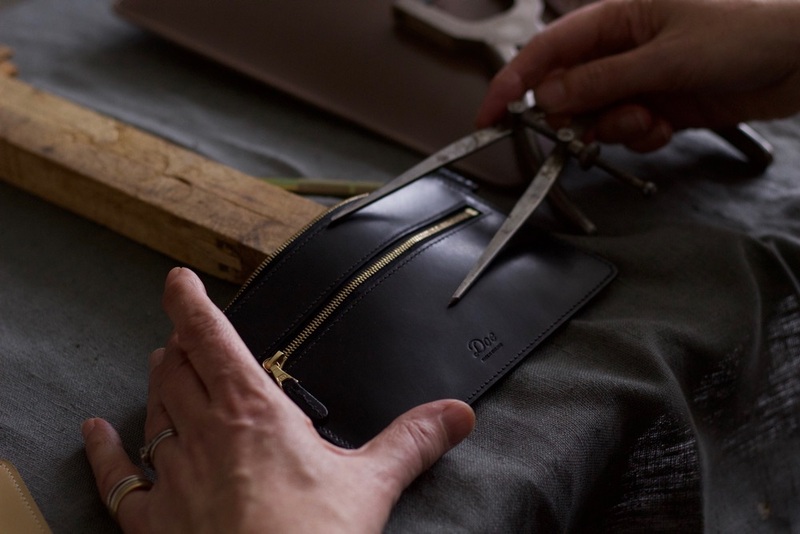 Above: Deborah prepares to emboss a set of initials on a Two Zip Purse. I have owned mine for two years and it keeps improving with age, £95. 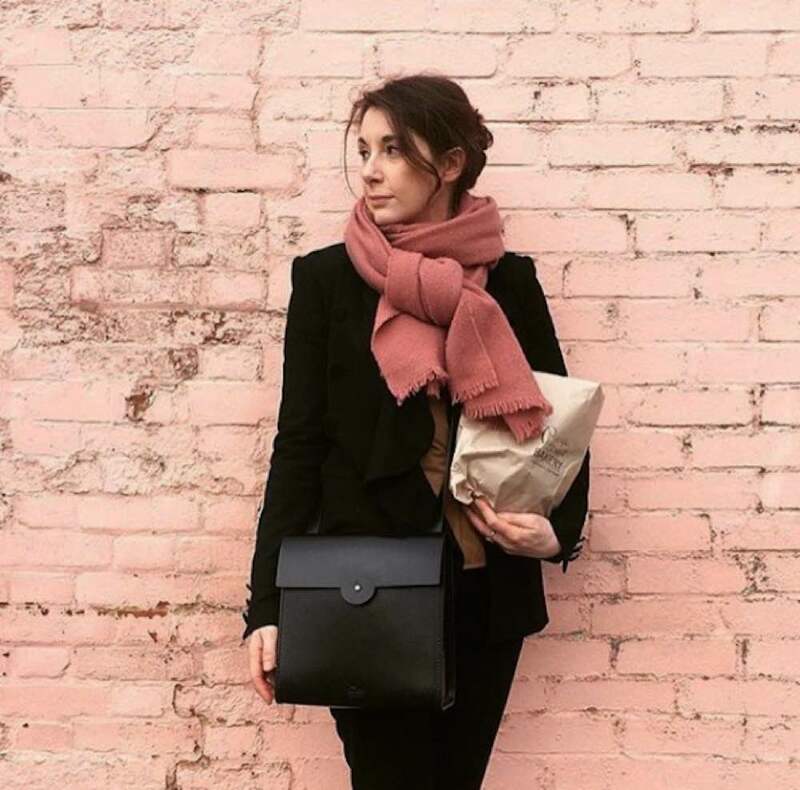 Above: The Cross Body Satchel in black, £385. Photograph by Sarah Weal for The Garnered. 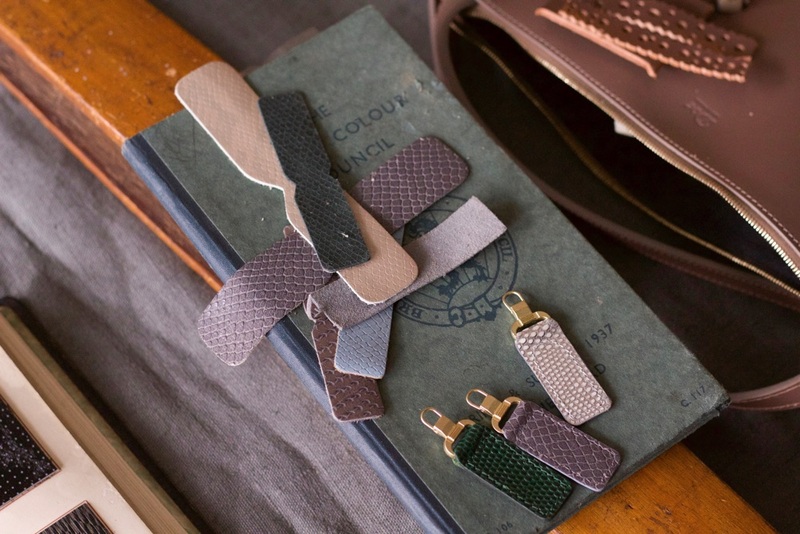 For more information about Deborah Thomas and Doe Leather, read Rewriting British Leather History.